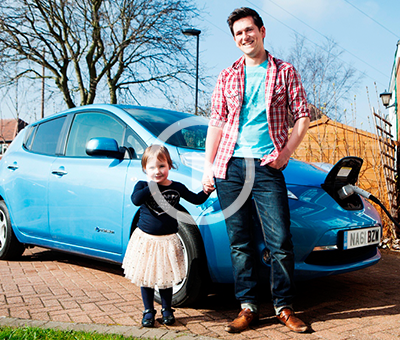 Through our trials we sought to gain a better understanding of the charging patterns and behaviours of domestic EV drivers – including the times, locations and duration of charging periods – to better understand the impact on local electricity networks. The electricification of transport and heating is central to UK government targets to cut carbon emissions by 80% by 2050. However, questions exist about the capability of the grid to support the uptake of electricity intensive low carbon technologies (LCTs) like EVs and heat pumps on any significant scale. Through our CLNR study we have generated important new data and insights that will help the industry to support the widespread adoption by customers of electric vehicles and other potentially disruptive new loads. 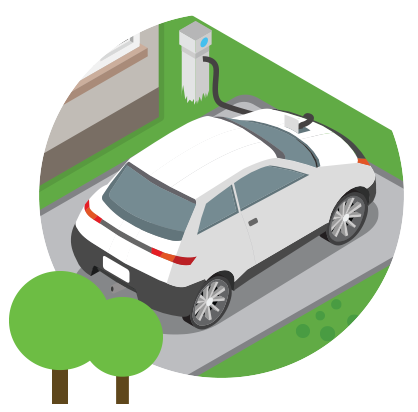 EV charging has contributed to a rise in domestic peak demand, but not to a significant level where is would affect network design or operation. However, if we begin to see geographical concentrations or ‘clusters’ of EV users or more than 1 EV per household, this may no longer be the case. For a summary of findings from our trials with domestic and SME customers, please visit our conclusions page. Some of the key learning documents from our trials with EV users are listed below; further analysis and project outputs can be accessed using the advanced search function on our project library. For information on how to obtain the original data collected during this trial for further research and analysis please visit the project data page.